July | 2015 | Does This Font Make Me Look Fat? I don’t recall when I learned to read, but once I could decipher the words on a page the local library in South Bend, Indiana, was a favorite place to spend a summer afternoon. The front of our house had a covered porch with a metal glider, and that’s where I spent many hours reading books I brought home from the library. The movies were a Saturday treat, but the library was open everyday except Sunday. I could choose as many books as would fit in the basket of my bike. Before I got a bike, I walked. Up 23rd Street toward Patawatami Park. A right at the big road and the library was in the next block. It seemed pretty far to my six year old legs, but the building full of books was a magical place. We raised our kids in Maryland’s hilly country north of Baltimore. My kids didn’t have a library or a park to which they could walk. However, they had a creek out the front door, a canoe, and thirty acres of woods to explore. 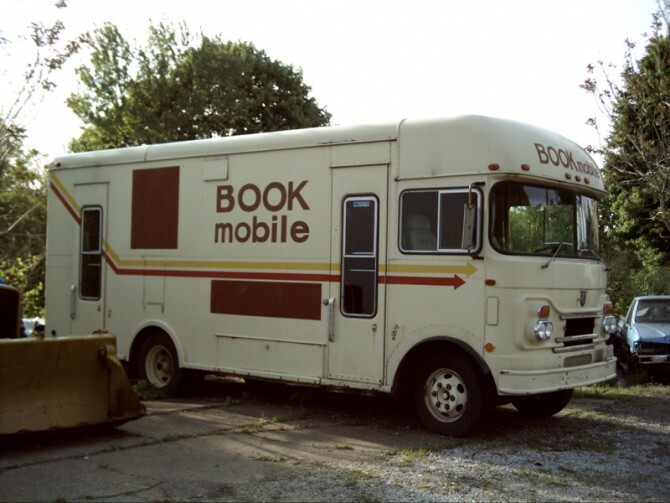 And at the local elementary school two miles up the road, the bookmobile made weekly stops. Their lives were filled with books. They all grew up to be readers and have shared that passion with their children. I now read most books on my Kindle, but somehow I don’t think an electronic device would have had the same allure as those books I pedaled home in my bicycle basket.